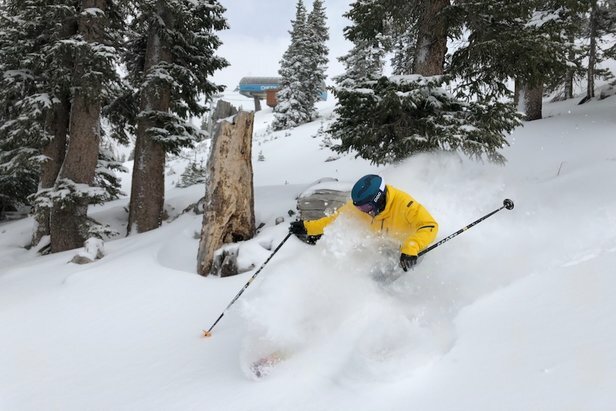 Some recent, heavy snow in Colorado brought double digit three-day totals to many ski resorts, even prompting a few early openings for the 18/19 ski season. In terms of the long-range forecast, we're not officially in El Niño yet but very close. The official forecasts continue to show a 70-75 percent chance by the start of winter. The four significant sea surface temperature zones in the South Pacific are currently all positive/warmer than normal. However, my personal concern is that we're moving into a specific, rare type of El Niño called Modoki, which could mean important shifts in where the heaviest snow sets up this winter. It's not set in stone, but momentum is building from my point of view. 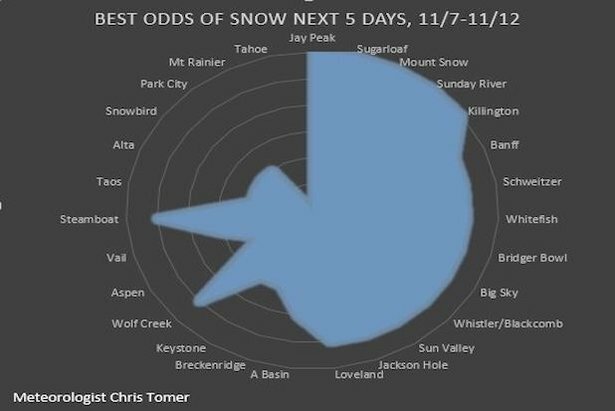 Ski Resorts with the best chances for snow through this weekend, 11.7.2018. A large storm system is possible between Friday night and Saturday. The rain/snow line remains critical. Heavy snow is possible at the interior ski areas like Killington, Mount Snow, Wildcat, Sunday River, Okemo and Jay Peak with 6 inches or more that may accumulate, making for great skiing on Saturday and Sunday. Colder temps on Sunday and Monday keep the snow in place. The storm track divides Utah and Colorado sharply over the next five days with 90 percent of the snow chances staying in Colorado, missing Utah. Only light accumulation in the Wasatch Front. The best chances for light to moderate accumulation are Thursday, Sunday and Monday. Loveland, Steamboat, Arapahoe Basin, Winter Park, Keystone, Breckenridge and Wolf Creek are in the best position. A quick-hitting light to moderate snow ends on Thursday morning then a second light to moderate snow chance hits Friday through Saturday. A third light snow could race in Sunday night into Monday. Big Sky, Bridger Bowl, Whitefish, Schweitzer, Sun Valley, Jackson Hole and Grand Targhee are all in good position over the next five days. Moderate to heavy snow is possible Sunday afternoon into Monday. Taos is in good position. The best chance of light to moderate snow is on Friday. Accumulation is most likely at Whistler/Blackcomb and at Banff ski areas. A totally dry stretch. The storm track remains unfavorable potentially for another 10 days. Ski the Pacific Northwest on Friday, the Northeast on Saturday, and Montana or Wyoming on Sunday. Bonus mention for Colorado on Thursday and Monday. 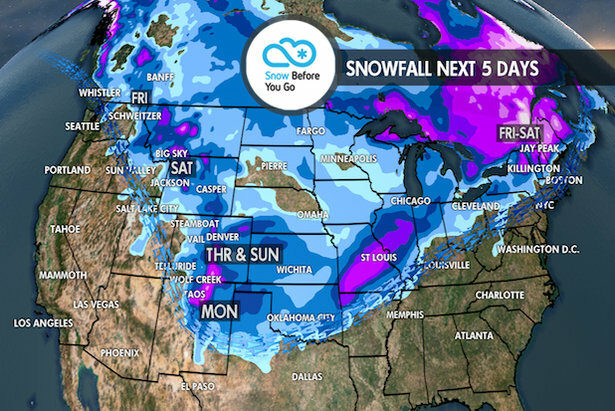 Want the Snow Before You Go weekly weather forecast delievered to your inbox every week?